Call it what you like: mint green, sea foam, or celadon. It’s that light airy blue/green/yellow shade that is calming in the winter, cooling in the summer, and gorgeous all year round (perfect for this crazy weather we’ve been having!). I like to pair it with crisp white, a creamy rich taupe, or mix things up by sprinkling it among various blues and greens. 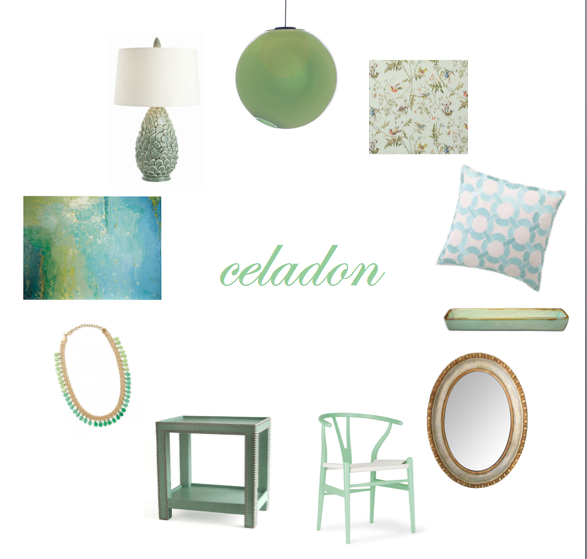 Here are a few of my favorite celadon picks right now; they’ll be right at home amongst your whites, taupes and blues alike! Enjoy them! Have a great weekend! Hopefully you’ll be spending some of it outdoors! ← Washington Post’s House Calls! It’s My Turn!